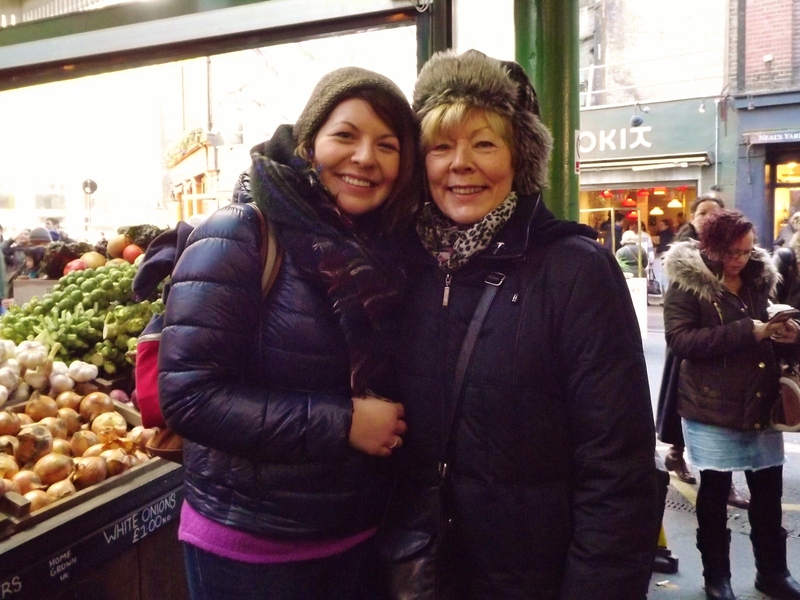 When Mama came to visit recently we honoured an old Thomson tradition that dates back to the first time we came to London together and stumbled upon Borough Market. A favourite with locals and tourists alike we decided to embrace the British enthusiasm for queuing and headed down Borough High Street to get some brunch. The market was heaving by the time we arrived with delicious sights and smells filling every corner. I took my camera along for the ride and in between sampling the delicacies on offer I was able to snap a few bits and pieces from some of my favourite stalls. After doing a few laps of the various sections of the market we plumped – plumped being the operative word – for the not-very-exotic-but-very-tasty sausage and egg baps from Roast to Go. Alas, I was too busy taking care of the business of eating to take pics of the food itself but trust me it was just the ticket and kept us going all day. We escaped the hustle and bustle and sought solace on a bench at Southwark Cathedral to enjoy our brunch. The busy courtyard is a great spot to eat your market finds and the Cathedral itself is well worth a visit as well. The Cathedral is free to visit though you do need to buy a permit if you want to take pictures or film inside. These are very reasonable – £2.50 I think – though filming is not permitted during services. For more information about the Cathedrals including opening hours and tour details click here.